The only thing missing is gasoline and a match. Yiff in hell, furfag! 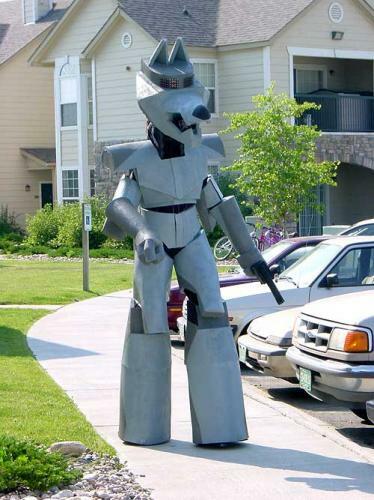 This reminds me of the giant Willie Coyote Robot that he made to catch the Road Runner. Actually, this is pretty awesome. If the furry connection hadn’t been made, it would rock.